A lot of people don't make Weave/Wicker patterns, even EA doesn't have too many. I wonder why. Anyway here are 3 Weave/Wicker patterns to add some variety to that section of the pattern catalog. They all have 1 channel. 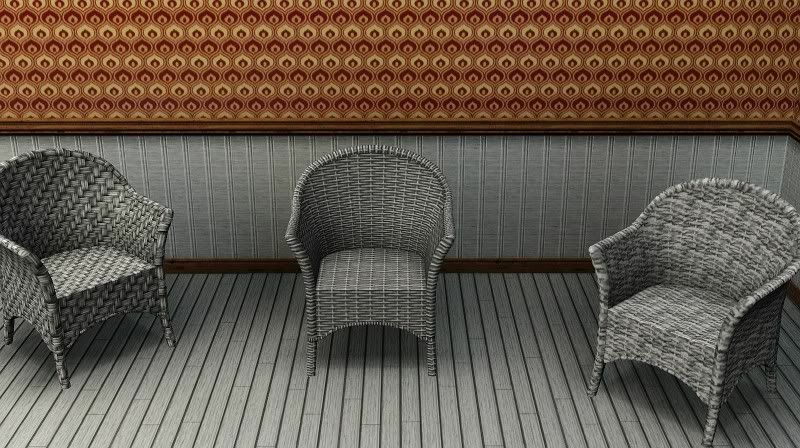 The patterns included are shown on the chairs. Enjoy!